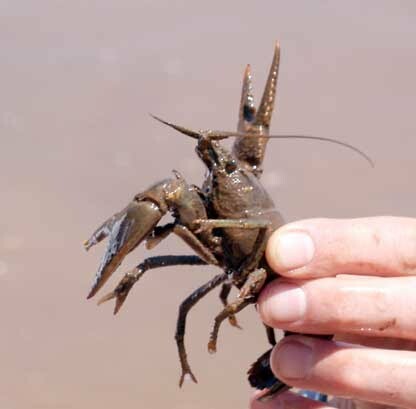 Probably the greatest threat to Cienega Creek, crayfish devour plants, snails, insects, fish, frogs, and hatchling turtles. By stripping vegetation from the stream, the banks become unstable and easily wash away, contributing to erosion. By eliminating the smaller life forms, larger animals no longer have a food base. These impacts can combine to cause a complete collapse of a stream’s food chain, which has been repeatedly seen in Arizona, including in important trout-fishing streams. 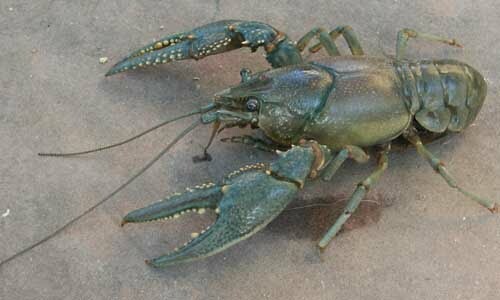 Many of Arizona’s rivers have been taken over by crayfish and no longer support clear water with abundant aquatic life. 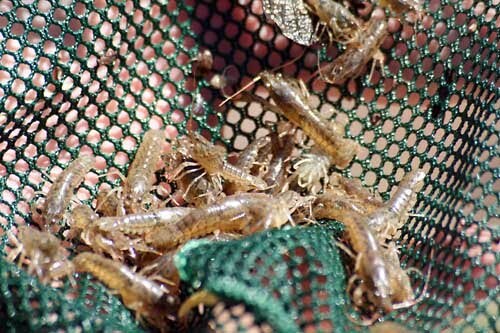 Baby crayfish can be as small as a half inch and are most abundant in the Spring.